PORTAGE, Ind. (WLS) -- An off-duty Portage police officer has been charged with domestic battery after police said he head-butted his girlfriend. At the request of the Portage Police Department, the Porter County Sheriff's Office said deputies responded to the 6500-block of Portage Avenue at about 1:24 a.m. Saturday. Deputies observed a 29-year-old woman with a large laceration on her nose, which was swollen and bleeding, the sheriff's office said. 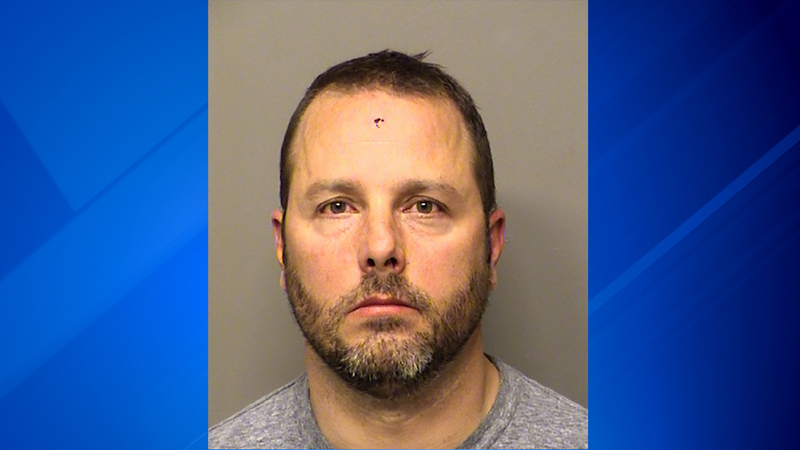 The woman told deputies her boyfriend, 41-year-old off-duty portage Police Officer Brian Chelich, got into a verbal argument at her workplace after closing and they both left separately. When the woman arrived home, she told police Chelich grabbed her cell phone, shattered the screen and punched a glass closet door, breaking it and shattering the glass. Chelich then walked out of the bedroom to lay on the couch in the living room, the woman said. The woman then went to retrieve her shoes from the living room to leave the residence when she told police they got into another verbal argument and then Chelich head butted her in the nose. The woman then used Chelich's phone to call 911. Chelich was transported to Valparaiso Medical Center with a cut to his forehead and his finger and arm. He was then transported to Porter County Jail. He has been charged with domestic battery, a misdemeanor.